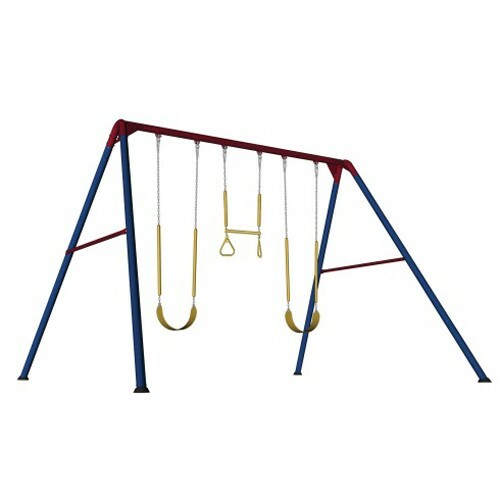 Lifetime 10-Foot Swing Set - Features heavy-duty powder-coated steel construction with two belt swings and one trapeze bar with gym rings. Comes in primary colors(red/yellow/blue). 5-year limited warranty. Ships in (2) boxes.